I don’t know about you, but I love the ability to shop online! 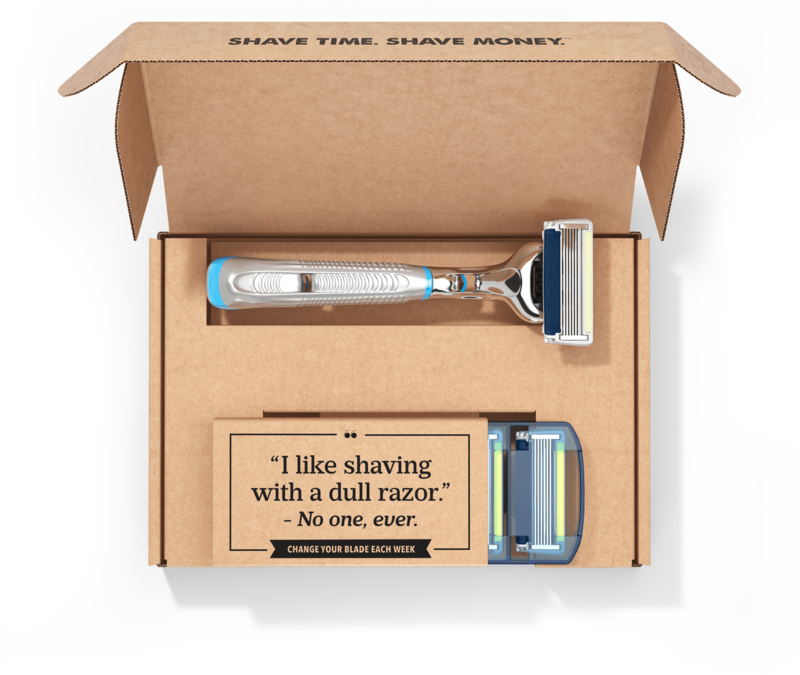 When life gets crazy or the price is simply better than what I can get in the store, it’s nice to be able to order what I need and know it will be delivered right to my front door within a few days. It’s rare that I need to purchase something and absolutely have to have it right that exact moment, so the wait is not usually an issue. 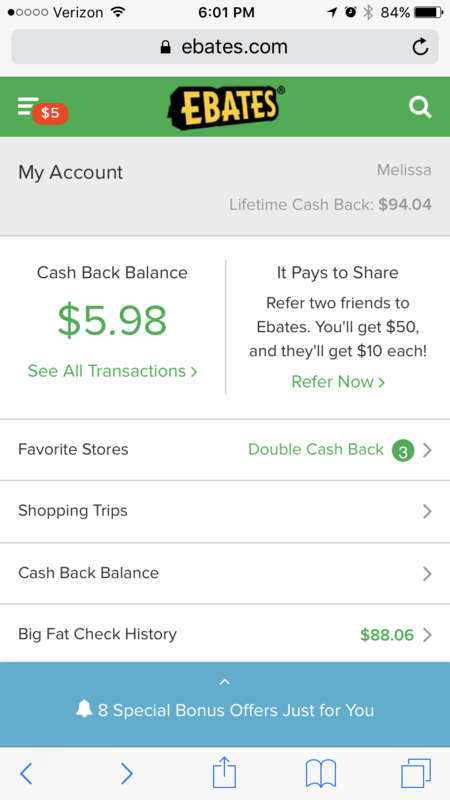 With all that being said, it’s even better to be able to get some cash back for things that I’m already buying anyway and that’s what Ebates does! It doesn’t cost anything extra. I just got to the Ebates site, click on the store I’m shopping from, then it goes to the store’s site and I can order what I was planning to. They add new stores pretty regularly too and recently added a way to earn cash back from in-store shopping too. The cashback amount is usually about 1-3% but can be more during peak shopping seasons or during special promotions. 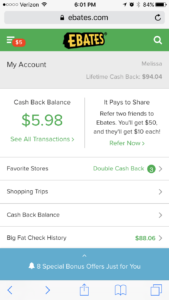 I have earned nearly $100 back since I started using Ebates and I will be honest, I had forgotten that I signed up for a good year+, so I know I missed out on getting quite a bit back. It doesn’t cost anything to join and when you refer others, you can earn extra $5 for each person that signs up! It’s that easy. And why I love it so much!